Set in an exclusive residential area of Nueva Andalucía on the Costa Del Sol, this desirable address is located just a few minutes drive away from the vibrant Puerto Banús and there are a fantastic selection of amenities situated within close proximity, including international schools, commercial Centres, fine dining restaurants, bars and of course the idyllic Marbella beaches. 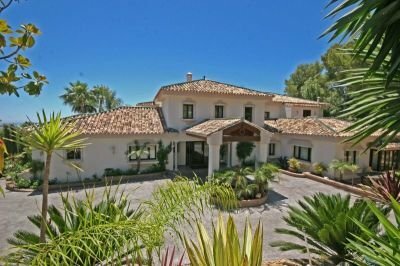 LC Marbella is very generously proportioned and occupies over 1000m² of living space; the large master bedroom suite alone is well in excess of 100m² and the house is built on an extensive plot of 3500m² and boasts stunning panoramic views across the golf valley towards the sea. Distributed over three floors, accommodation comprises of 6 double bedrooms all with en-suite bathrooms, a large open-plan fully equipped kitchen with dining area, formal dining room and both informal and formal lounges opening out onto large terraces with direct access to the immaculate gardens and outdoor swimming pool. The lower level features an indoor pool, bathroom with shower, garage for up to 2 cars and laundry room. The prestigious location, practical layout and perfect flow between the rooms ensure that the house is ideal for a couple with frequent guests, a group of golf enthusiasts or a large family with children. 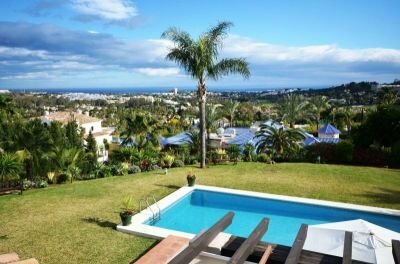 The villa offers versatile, light and spacious accommodation, especially for those who enjoy entertaining with various seated exterior areas, including a fantastic Spanish Gazebo which is ideal for al fresco dining. Accessed by a gated private driveway, the property is completely secure and offers total privacy.